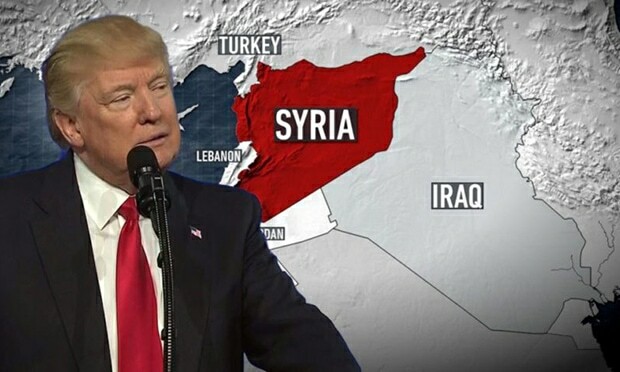 Whilst chaotic divisions within US imperialist ruling circles continue to send conflicting messages regarding President Donald Trump’s avowed policy of pulling troops out of Syria by the end of April, the reactions of friend and foe alike confirm the reality of the unstoppable advance of Syria’s liberation forces and the resounding defeat of US imperialist meddling and aggression in that country. 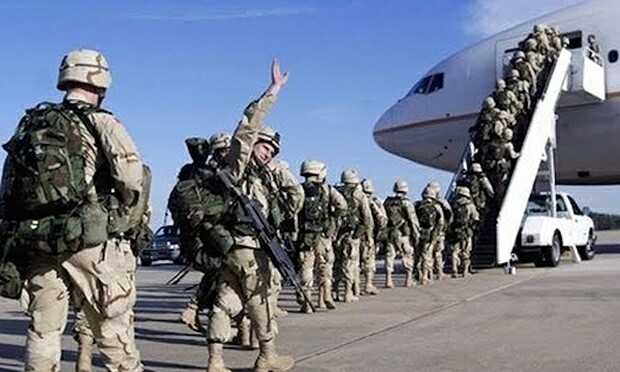 Reports that the (official) number of US troops in Syria has in fact increased from 2,000 to 3,000 since President Trump’s 19 December announcement of withdrawal, a rise of 50 percent, have led some to conclude that the whole pull-out fanfare has been an elaborate hoax. 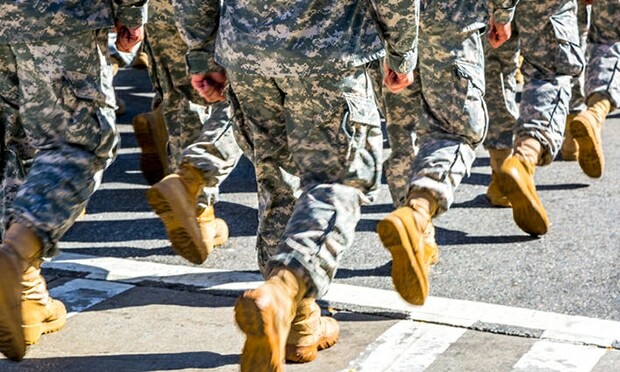 Others, perhaps nearer the mark, suggest that the Pentagon, in cahoots with elements of the president’s own administration, is bent on dragging its feet over withdrawal, attempting to mangle the policy in its delivery. The abrupt and acrimonious departure of defence secretary James Mattis made it very clear that resistance to withdrawal is stiff at the highest levels. Meanwhile it’s worth remembering that all ‘official’ estimates of troop numbers are to be taken with several bagfuls of salt, as indeed are ‘official’ estimates of Daesh (aka IS or Isis) numbers and capabilities. A more reliable reflection of the deadly seriousness with which the US pull-out plan is being taken may be seen in the scalded reaction of French imperialism, which turns out to have (officially) over a thousand of its own troops on Syrian soil, stationed in at least nine isolated bases strung across the north of the country. These bases have till now been heavily bolstered by the US military and its SDF (‘Syrian Democratic Forces’) auxiliaries. 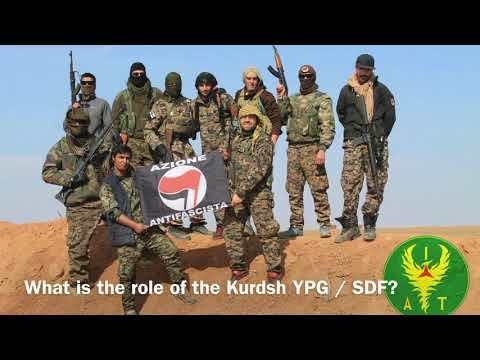 With the US getting ready to up sticks and the SDF Kurds looking to mend bridges with the Syrian government, these imperialist outposts are feeling a cold breeze down the back of the neck. France’s president, Emmanuel Macron, took it badly, saying that he “very deeply regretted” the withdrawal decision, deeming it “unbecoming of any ally” who should be “reliable” and “fight shoulder to shoulder”. Meanwhile, Israel’s redoubled efforts to obstruct the fraternal support given to Syria’s liberation forces by Iran have come to naught. 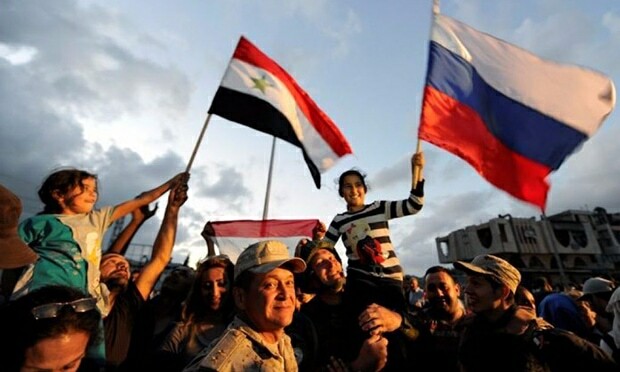 The thousands of zionist airstrikes upon Syrian soil, taking for pretext the presence there, by invitation, of Iranian military advisers, have served only to strengthen the fraternal bonds between Syria and Iran. These thousands of airstrikes, indiscreetly bragged about by departing zionist chief of staff Lieutenant General Gadi Eisenkot, have for the most part been countered by the liberation forces, assisted by the recent deployment in Syria of Russia’s latest air defence technology. 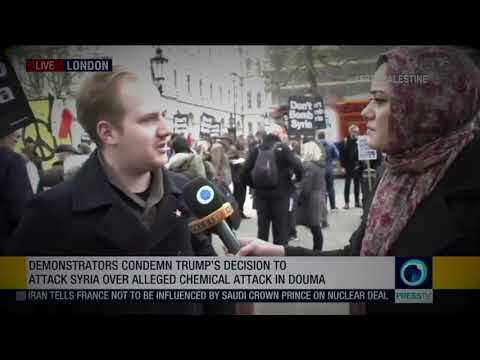 Recent airstrikes, including one on Christmas Day, which imperilled two civilian aircraft attempting to land at Damascus and Beirut, have been denounced by Tehran and Damascus alike. Syria’s ambassador to the United Nations, Bashar al Ja’afari, denounced the failure of the UN security council, thanks to Britain, France and the US, to act against Israeli airstrikes directed against Damascus International airport. He warned that, if the UN failed to shoulder its responsibilities, Syria reserved the right to defend itself by responding with commensurate attacks upon Tel Aviv’s own Ben Gurion airport. Emboldened by the UN’s continued inaction, Israel responded by deploying its so-called ‘Iron Dome’ air defence system – with what success remains to be seen. If Israel’s plan was to weaken the fraternal bonds between Iran and Syria, it has misfired badly. Having shared the burdens of war together, these two nations are in the process of forging ever closer economic and political ties for the postwar period. Because of western sanctions against both countries, they have been cut out of dollar-dependent international transactions. Now they have empowered banks to conduct transactions in both local currencies and non-dollar foreign currencies, sweeping aside a major block on trade and investment. This will especially facilitate cooperation on reconstruction projects. Iran is likely to be a major participant in such projects, given that it is the biggest producer of steel and cement in the middle east. In particular, the two countries have pledged to work together on rehabilitating the ports of Latakia and Tartus and building a $413m 526-megawatt power plant, to be supplied by a gas pipeline from Baniyas. In all, Iran and Syria have signed 11 agreements, including a long-term strategic economic cooperation agreement covering industry, trade and agriculture. Elsewhere in the middle east, the universal tacit recognition that the game is up, regime-change has failed and US imperialism is heading for the exit is effecting a miraculous transformation of sworn foes into (at least fair weather) friends. The Arab League, which acted as the tool of US imperialism when it expelled Syria back in 2011, is preparing to reinstate the country. According to the Guardian, calls in the Egyptian media for reinstatement have been backed by the Arab parliament (a “toothless Arab League auxiliary” explains the Guardian, that toothless auxiliary of imperialism), and it is rumoured that the United Arab Emirates (UAE) plans to reopen its embassy in Damascus. In short, countries which only yesterday were giving aid, succour and vast quantities of weaponry to the competing bands of jihadi cut-throats dedicated to the violent overthrow of Syria’s legitimate government are now falling over themselves to reconstruct the very bridges they burned in 2011. But the reactionary feudal sheikhdoms of the Gulf will seek in vain to restore the status quo as it was before the war on Syria. The shameful role of Saudi Arabia and its satellites in assisting the imperialist war against Syria has been comprehensively exposed in the eyes of the masses. 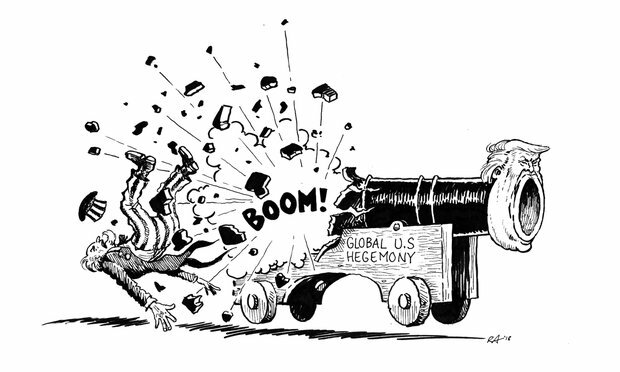 Whilst these stooge regimes may now hope that a swift change of tune will suffice to win them a lucrative share in a postwar reconstruction bonanza, and whilst they may kid themselves that by making overtures to Syria they can help loosen the fraternal bonds between Syria and Iran, the reality is that the historic failure of the US imperialist war of subversion cannot but serve to cut the ground from under the feet of compradors everywhere. Whether US troops are all out by the end of April or not, the writing is on the wall for the USA, and for all the reactionaries that cling to its skirts. 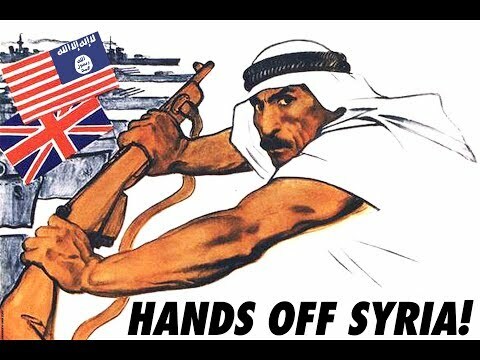 Further evidence of the probable reality of the US pullout is the agonising in the bourgeois media and European imperialist governments – the British and French in particular – as to what is to be done with the defeated jihadis and their families, who are citizens of these countries but are currently stranded in foreign-occupied Syrian territory. President Macron has agreed, despite howls of rage from the French public, who are unlikely very quickly to forget the murderous attacks in Paris made by returned jihadis, that French citizen jihadis should be returned to France, while Britain has acted swiftly to revoke the British citizenship of Britons involved. The case of the jihadi bride Shamima Begum from Bethnal Green, London, who at the age of 15 ran away from home and, using her sister’s passport, entered Isis-occupied territory in Syria in order to become a bride, has been much discussed. The girl has suffered greatly for her teenage wilfulness and stupidity, having lost her two little children born in Syria to disease, and facing the prospect of her recently-born third child being taken away from her, if he doesn’t first die as a result of the harsh conditions prevailing in the overflowing and undersupplied camp where the SDF are retaining her. Even if, as she says, she was always a non-combatant, she has committed serious crimes in Syria, from entering illegally to giving succour to the enemy. And she remains convinced that a worldwide caliphate where everybody lives like 7th-century peasants, women are confined to kinder, kuche, kirche, and all dissent is violently and cruelly suppressed, is the answer to all the world’s problems. Her family in Bethnal Green are appealing against the revocation of her British nationality – an appeal that ought to succeed as, under international law, a person’s nationality cannot be withdrawn from them if the result is to leave them stateless, as is the case with this girl. What absolutely nobody is contemplating is the obvious solution: the crimes she has committed have been committed in Syria; she is currently present in Syria. She and others like her should face the justice system of the Syrian state – just as a Syrian citizen who committed a crime in France would face French justice or who committed a crime in Britain would face British justice. It is obvious that Syria would be in a far better position to collect reliable evidence of her criminal activity than anyone in Britain. Her child, of course, is entitled to British citizenship (he was born before his mother’s British nationality was purportedly revoked) and should be returned at the soonest to his family in England or to his father’s family in Holland. Since this article was written, Ms Begum’s unfortunate baby died, aged three weeks, in the Kurdish-controlled al-Roj camp.